It's Halloween! 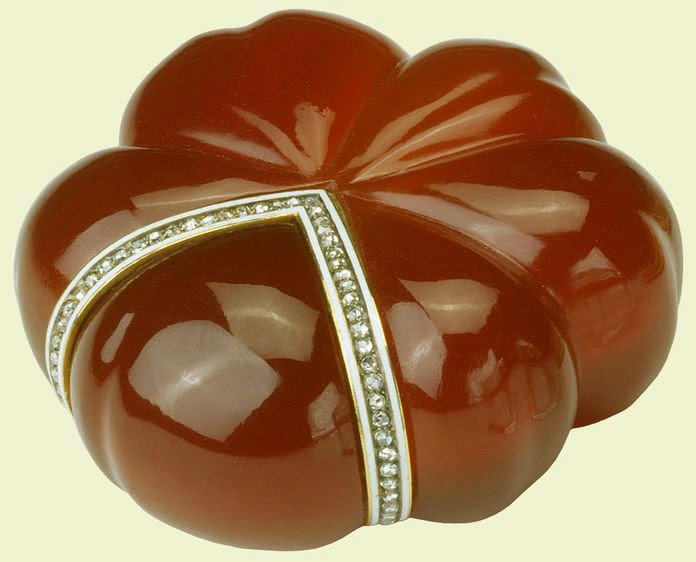 So what better Fabergé object to show you than this - a pumpkin-shaped box! It was made sometime before 1896! The little box - 1'' x 2'' (2.5 x 5.2 cm) - is carved from a piece of carnelian. One section has been cut out to form a sort of lid. Around the edges of this lid runs a white enameled border set with rose-cut diamonds. The pumpkin-box is now part of the Royal Collection.